Saturday afternoon I went to a friend’s house for some cooking! When I got there was making blackberry jam from berries picked from her garden. 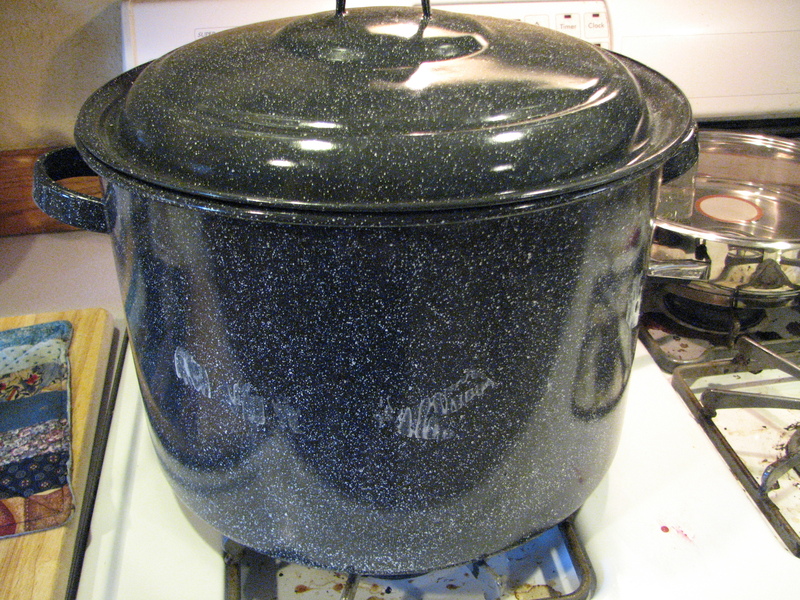 I’ve never done any canning or made jam before. It was so fun to see how it works! It was hot and messy but fun to make something like this. The berries smelled delightful. Do you want to know how much sugar goes into jam? 7 cups of sugar!! Holy moly! I wondered if we could add a Splenda blend to cut down some of the sugar but the package said NOT to use sugar substitutes or it would not set properly. I’m sure there are some ways to make jam with less sugar but that’s not what we did. I can’t wait to try the jam! After making jam, I prepped the stuff for dinner. We made Leah’s peppers and eggs for dinner! The moment I saw her post about it, I wanted to make it. It wasn’t something Michael would eat, though, so I saved it for an occasion where I could make it myself. Coat the outside of the peppers with olive oil to prevent sticking on the grill. 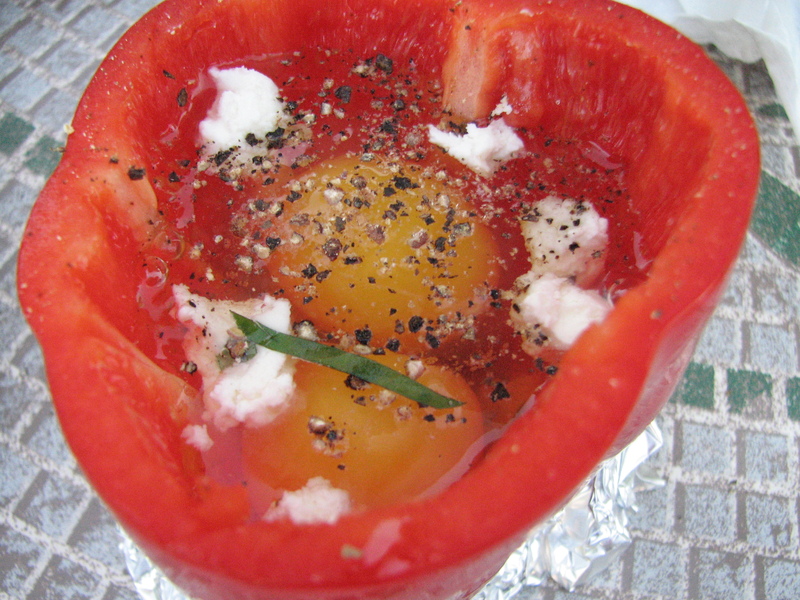 Crack eggs in the peppers and top with salt and pepper. Heat grill on high. Place peppers on grill and close. Let cook for 20-25 minutes or until egg whites are cooked through. 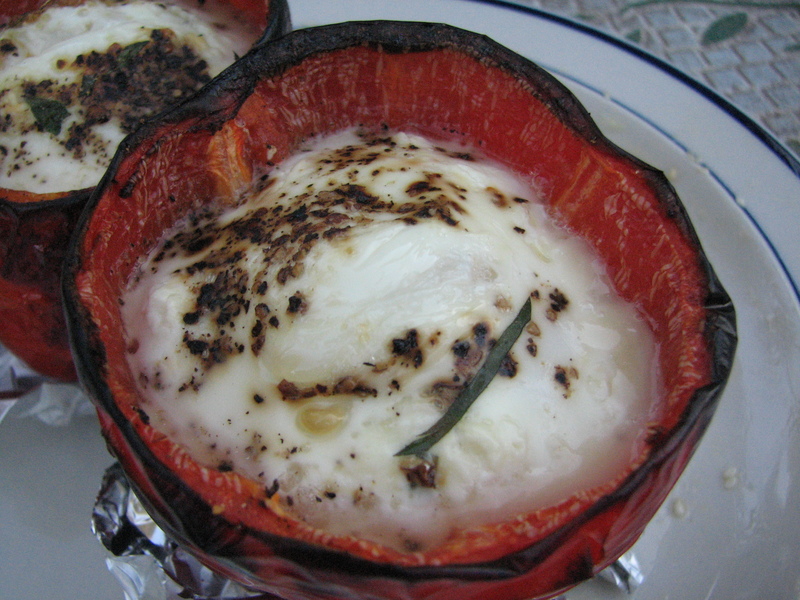 We added a little bit to the peppers: a little bit of goat cheese, fresh rosemary and basil. It was such a nice evening out, we took everything outside to fix. It was a hot night with a nice, cool breeze. 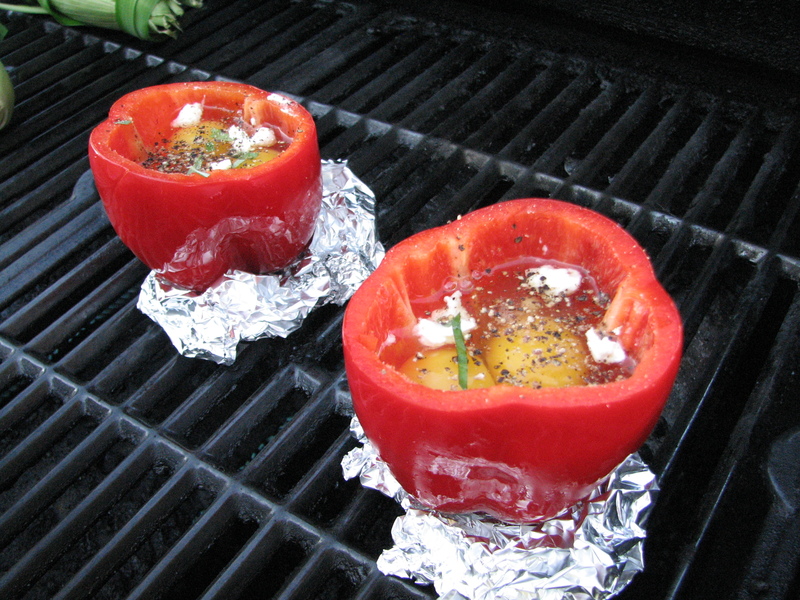 The peppers I got had some trouble standing upright so I created little foil bases for them to sit on in the grill. 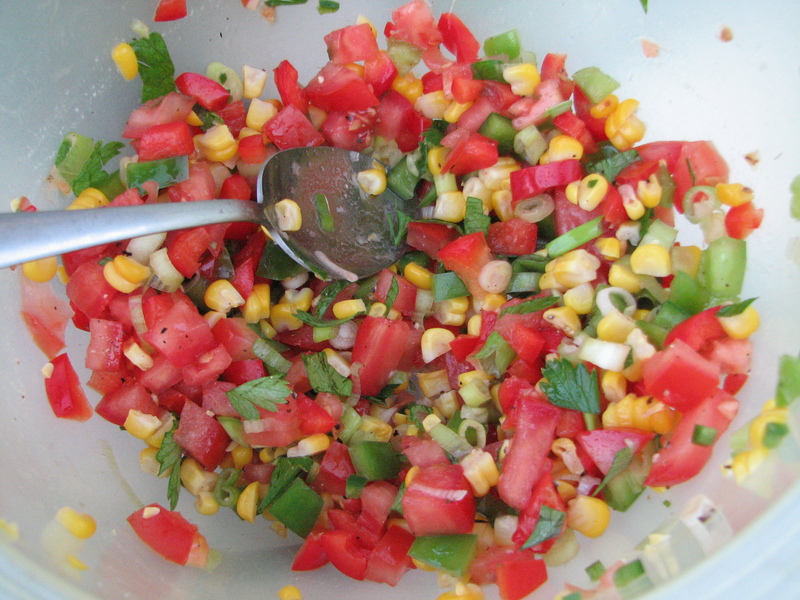 Kat also added two corn on the cob husks to the grill to make a Roasted Corn Salsa. Kat made the salsa while we waited for the peppers to cook. 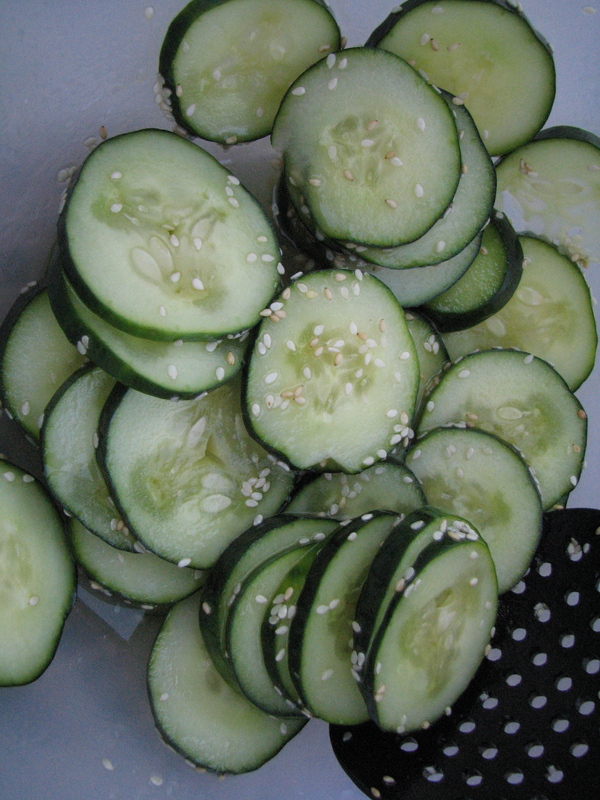 As a side dish, Evan’s Japanese Sesame Cucumber Salad. I’ve had this salad in sushi restaurants before and loved it. So I knew this would be yummy. 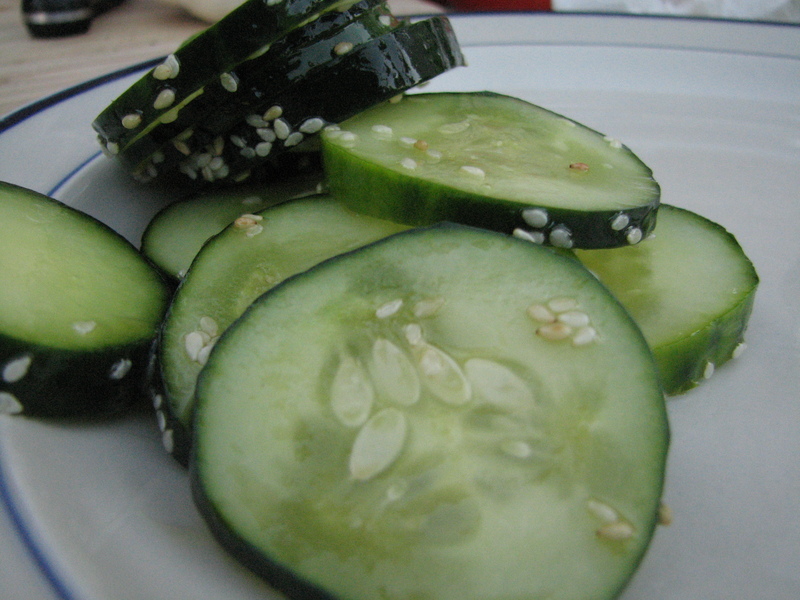 With a mandolin or sharp knife, slice the cucumbers into circles about 2mm thick. Combine the cucumbers with the rest of the ingredients in a large bowl and toss together until completely incorporated and the sugar has dissolved. It’s also a great recipe to make in the dog days of summer. When it’s super hot out, who wants to stand in front of a stove? We both agreed it was good but seaweed would have been a nice addition. 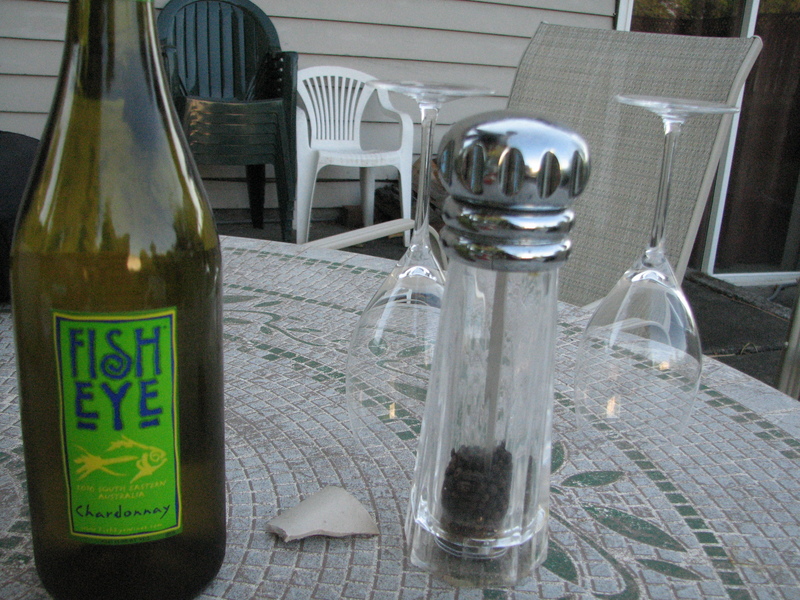 We enjoyed a nice bottle of chardonnay while we sat outside munching. Then the peppers were done! They were good! And such an EASY meal to make. We both agreed that it needed more seasoning of some sort. I’m not sure what kind of herbs or seasoning it needed, but something. I felt like it was a breakfast meal more than dinner. So I suggested next time adding chopping ham or bacon to the raw eggs and then grilling them. Or adding some cheese to the stop of it? I think this recipe is also Evan’s recipe and I believe he’s a vegetarian, so maybe that’s why the recipe didn’t have any meat in it. I think a smokey, salty ham would be a nice addition to this yummy meal. It was easy to eat too. I’m happy that all the recipes were a success. It was a really nice night! 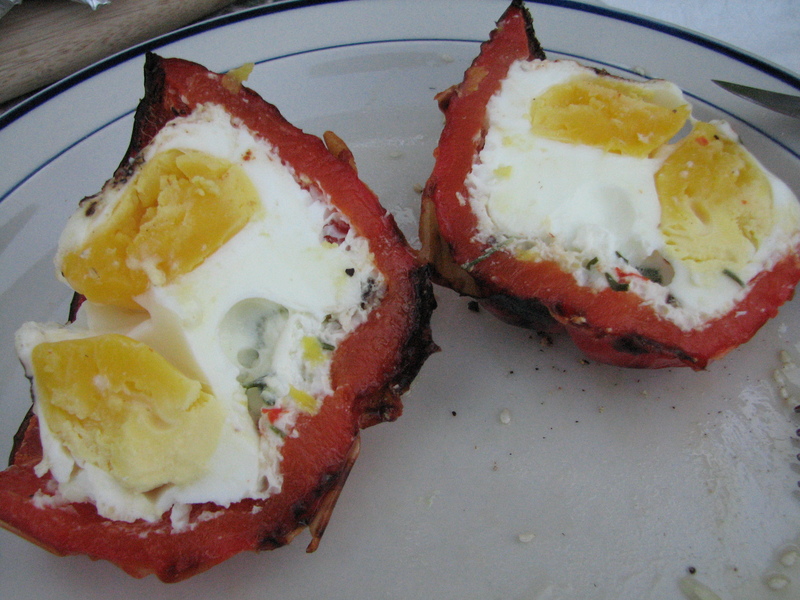 QUESTION: What spices/seasons would you add to the egg dish? 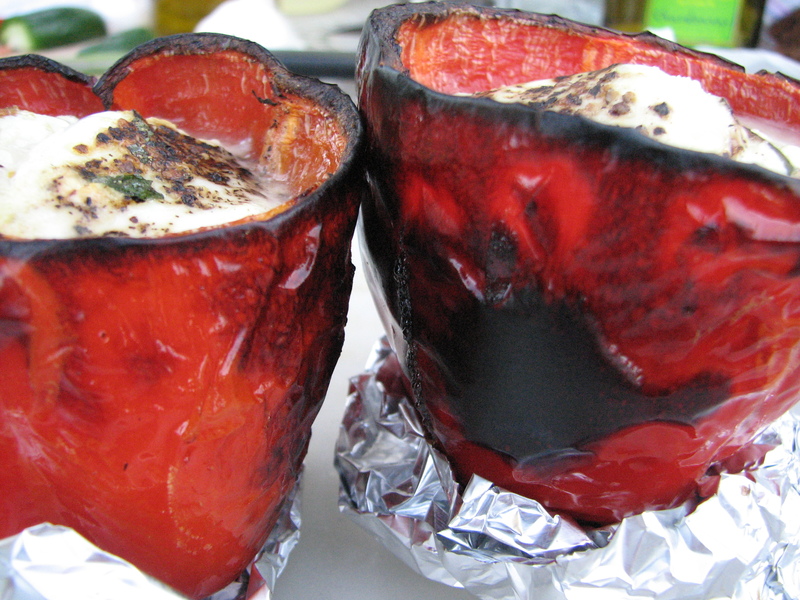 Do you have a favorite stuffed pepper recipe to share? I think I would add some green chilies and some bacon!! 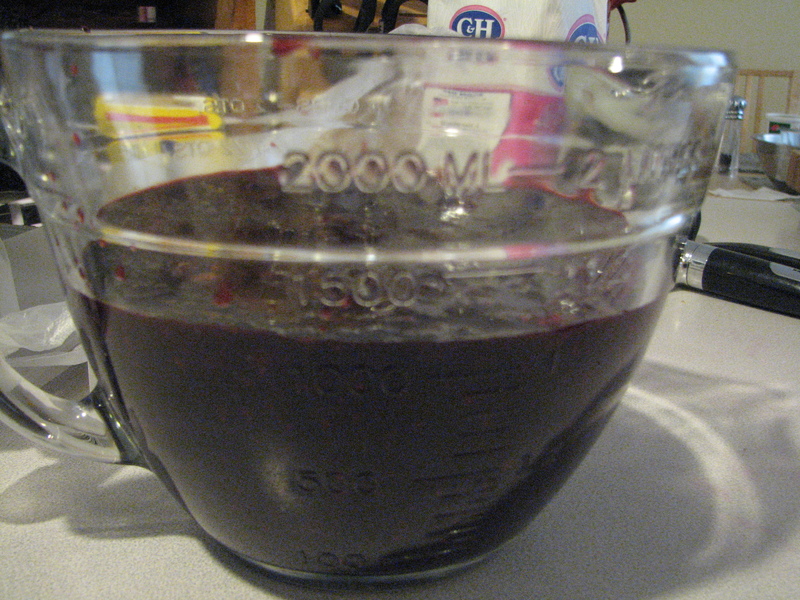 I make mixed berry “jam” with much less sugar/berry ratio but it doesn’t set. It makes really good syrup for ice cream, pancakes and waffles, plus you can drizzle it on top of toast with peanut butter and bananas but it gets a little messy. Good call on the green chilies! YUM! Everything looks amazing!! 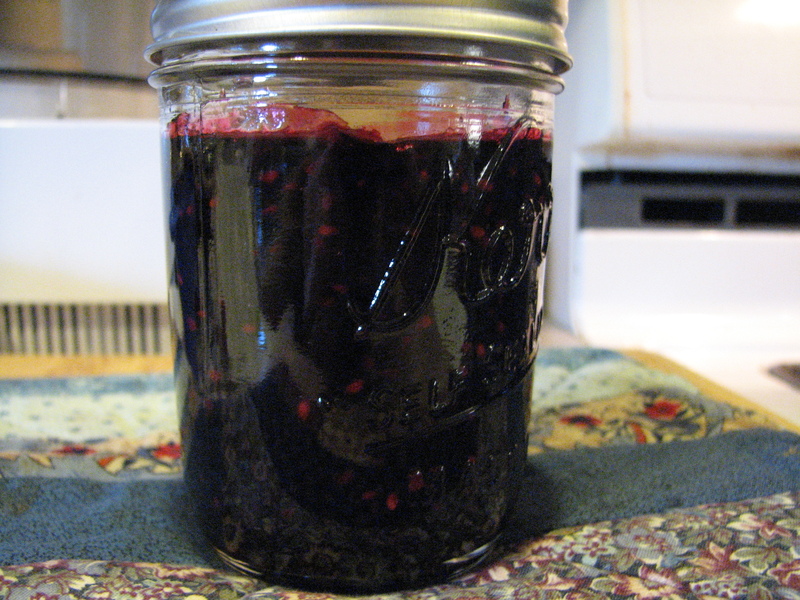 The blackberry jam looks delicious…I love making jam with fresh fruits. The Japanese Cucumber Sesame Salad is similar to what my mother often makes, except she always adds some seaweed in it….yes, it will be wonderful with seaweed!! I had some of the jam on my English muffin this morning and it was delicious! I love blackberries! The jam looks so good, but with that much sugar I would have to stay away. I love your dinner, it looked so healthy but yet tasty. I’m with ya on the sugar, Tammy. 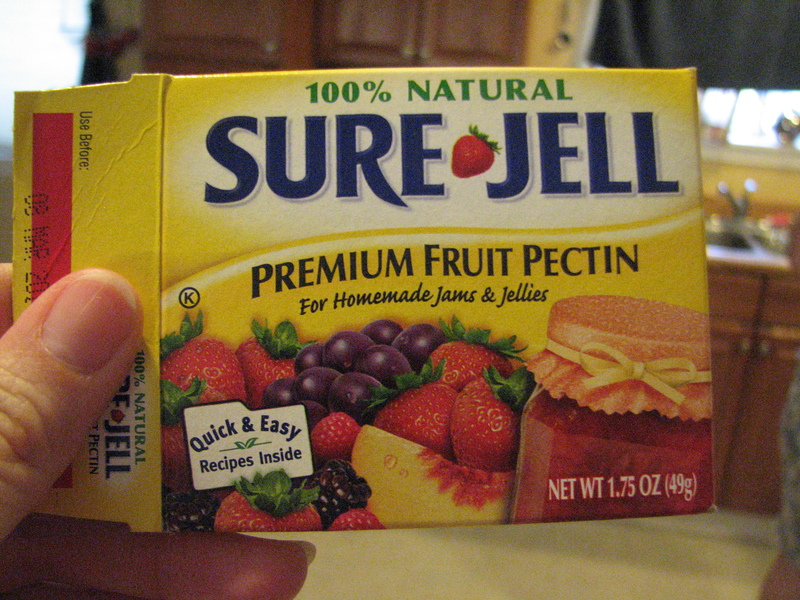 My friend said there is a pectin you can buy with less sugar added but it was expensive. 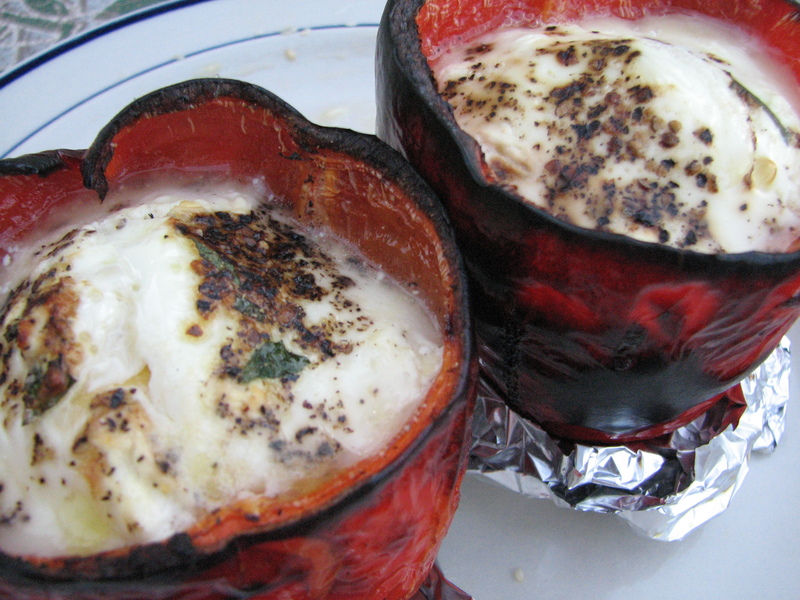 The bell pepper egg cups look wonderful. I am excited to try them. To keep them vegetarian I am planing to add some veggie sausage, fresh spinach, onion and garlic. . I love the idea of green chillies, I also think hot pepper flakes would be a great addition. 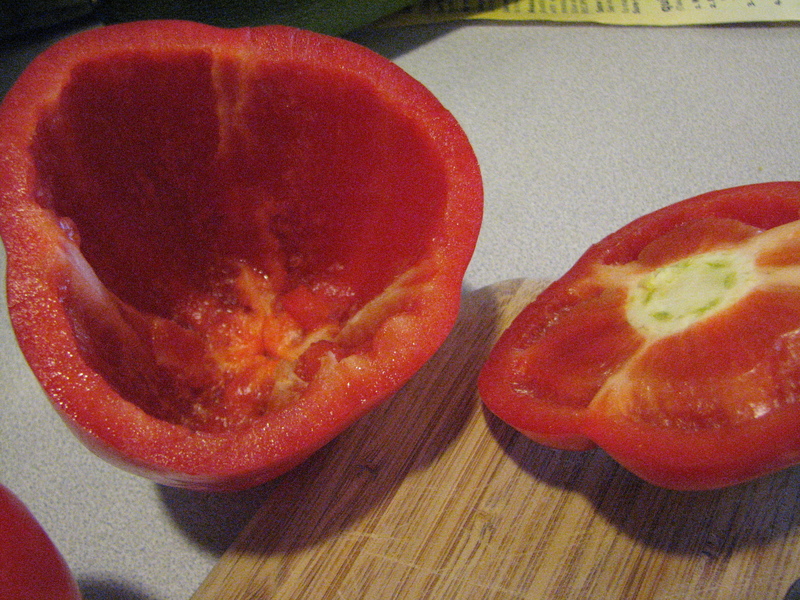 My Grandma used to make a stuffed peppers with a rice-tomato-beef mixture. Don’t really remember what was in it, but it was really good. Yours looks really good too! oooh I would add some parsley or fresh chives to the egg dish! 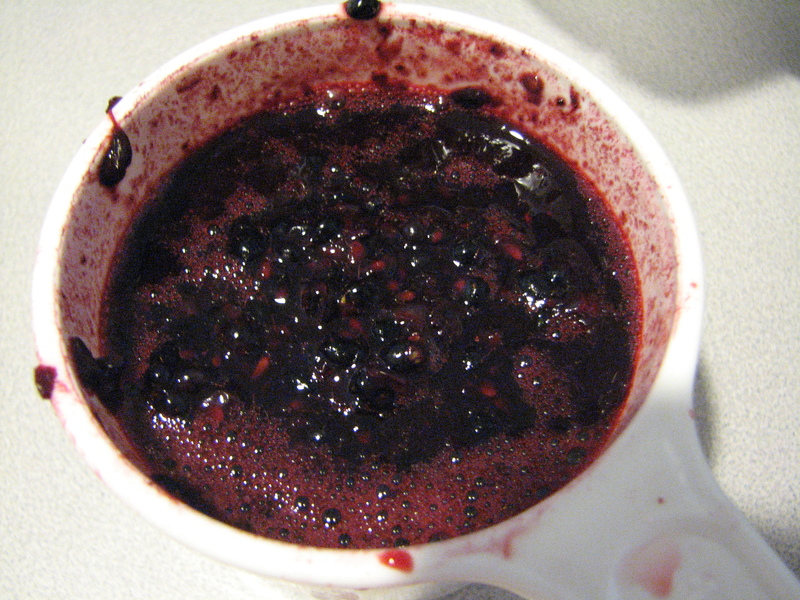 Blackberry Jam looks delish. I think you could adjust the sugar to suit your taste, and still have a wonderful fruit taste. 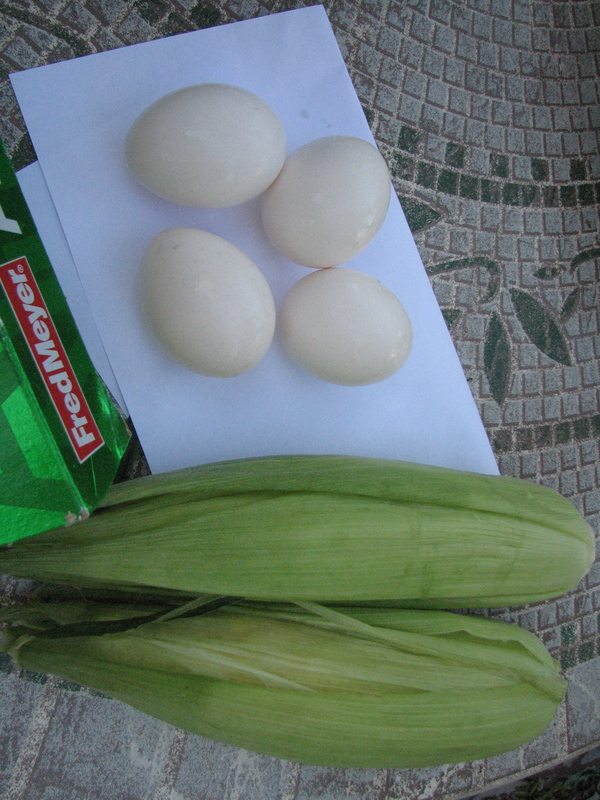 I would add minced sweet onion, such as Vidalia Onion or Mississippi Sweet, to give the eggs a more interesting flavor. I also use fresh sweet basil in my omelets. I sautee my veggies and spices first. Great idea on the onions. I will definitely try that.